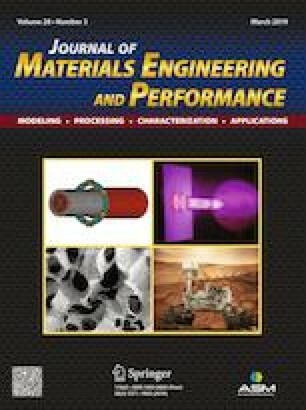 This study investigated the alloying effects of 0.4 wt.% Sc on the microstructure, mechanical properties, and fracture behavior of a cast Be-Al alloy prepared by vacuum induction melting. The micromechanics of Sc-containing secondary-phase particles (SPs) were characterized by nanoindentation, and the fracture behavior of the alloy was investigated via tensile fractography and optical metallography. The addition of 0.4 wt.% Sc significantly modified the alloy microstructure by decreasing the secondary dendritic arm spacing (SDAS), weakening the dendritic structure of Be, and producing an equiaxed/cellular alloy microstructure with refined Be grains. Sc alloying increased the Vickers hardness by 36%, elastic modulus by 28%, yield strength by 35%, ultimate strength by 52%, but decreased the elongation from 3.6 to 2.9%. Sc-containing SPs had a higher elastic modulus, yield strength, microhardness, and a lower plasticity index than the Be and Al matrices, resulting in interface separation during the fracture process. SPs located at the Be/Al interfaces did not act as microcrack sources for the matrices, whereas highly faceted SPs within the Be grains induced microcrack formation and decreased the elongation. The failure mode of the cast Be-Al-0.4Sc alloy still involved the brittle cleavage failure of Be regions and ductile dimple failure of Al regions, which was not the case with the cast Be-Al alloy. This study was financially supported by the National Natural Science Foundation of China (Nos. 51504226, 51601178, and 51701195). The authors express their sincere gratitude to Dr. Hefei Ji, Dr. Bingqing Li, and Dr. Qifa Pan for their assistance with instrumental characterizations.